The Simpsons: Is there any phenomenon they can’t explain? Apparently not. Uproxx dug up a clip from the season 11 episode, “Brother’s Little Helper,” that appears to presage the current hacking scandal plaguing the St. Louis Cardinals. In the scene, Bart’s seemingly irrational fear that Major League Baseball is using satellites to spy on Springfield actually turns out to be completely legit. The man who confirms this theory? 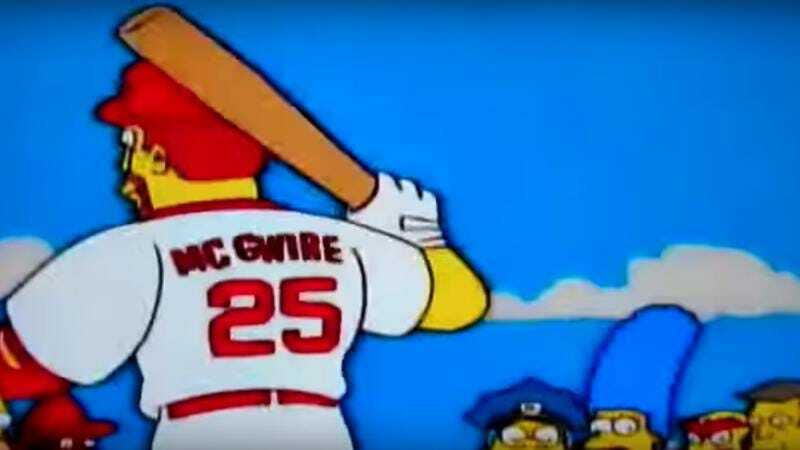 None other than Cardinals then-slugger Mark McGwire, who declines to explain the surveillance because everyone would rather he “sock a few dingers” instead. Watch the 1999 prediction below.